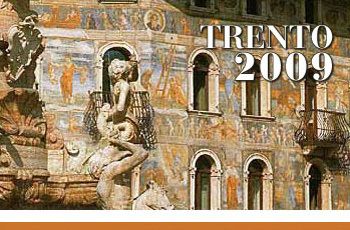 The international workshop TRENTO 2009 will focus on Preference Modelling and Decision Theory and aims at providing an opportunity for sharing and discussing the recent research developments in this field. The idea is to have a small number of speakers and participants in a relaxed and informal atmosphere. Trento is a lovely and peaceful renaissance Italian town surrounded by splendid mountains (Dolomites) and near Lake Garda. The international workshop TRENTO 2009 is organized by the Department of Computer and Management Sciences of the University of Trento and will be held in the Faculty of Economics, via Inama 5, close to piazza Duomo.